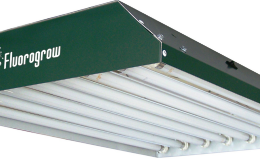 4 Feet 8 Bulb fixtures are those huge lights that give off around 40000 (5000*8) lumens while consuming 432 Watts (54*8) and that means you will be able to grow huge plants under this fixture or just a lot of clones or seedlings. 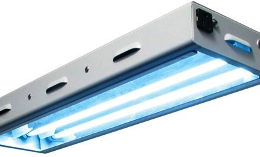 These 8 feet fixtures are amongst the most popular T5 grow lights as they combine very high energy output with efficiency and the ability to turn off some or all of those bulbs independently. Because T5 4 feet fixtures all use the same bulb standard you will be able to exchange those bulbs easily and create the optimums growing area for your green garden. Because these lights are so powerful they are usually used for commercial applications or for supplemental lighting in greenhouses when it is winter and plants cannot receive enough light to stay in their vegetative growth stage. 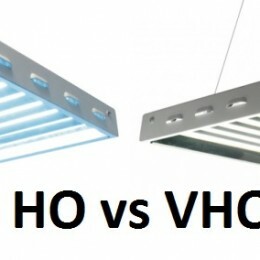 T5 lights usually run for a rated lifespan of 20000 hours and that means you won’t need to exchange those bulbs that frequently and their relatively cool working conditions will not dramatically increase your grow room temperature like it is with Metal Halide and High Pressure Sodium grow lights.